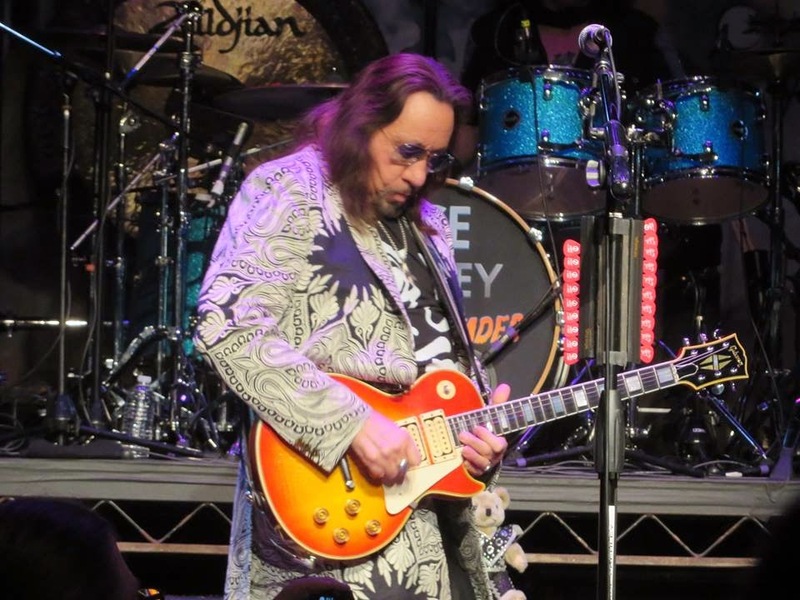 Here's Ace Frehley live at the Arcada Theatre in St. Charles, IL on Saturday, November 29, 2014. 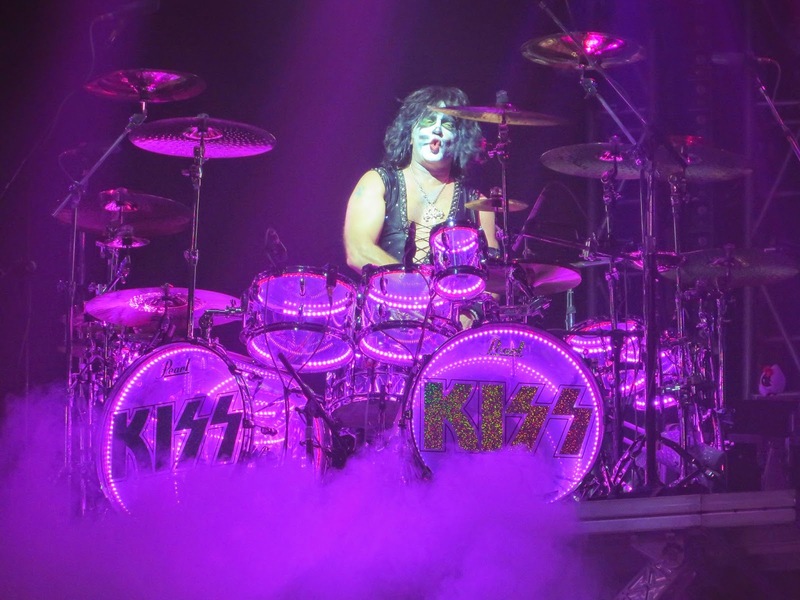 Thanks to our friend Ken Casper for his great photos! 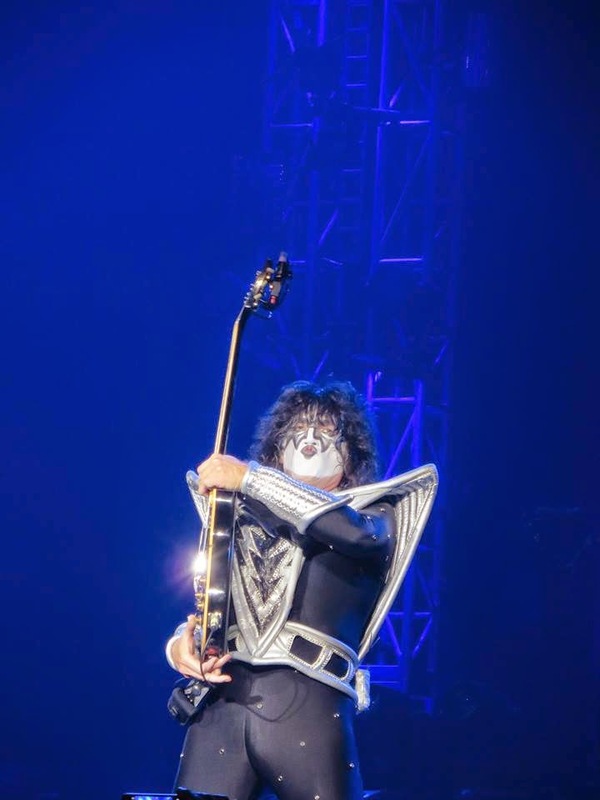 See full photo gallery HERE. 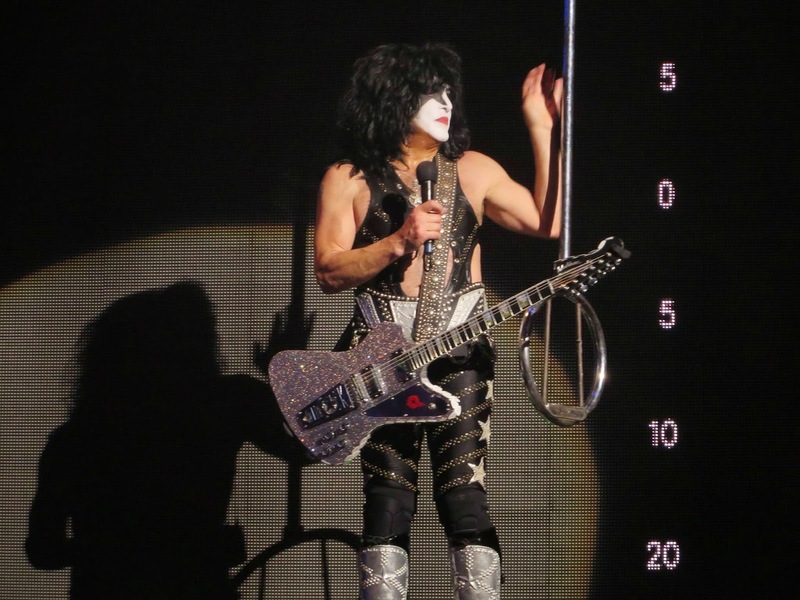 Here's the set list for original KISS guitarist Ace Frehley's show at the Keswick Theatre in Glenside, PA on Wednesday, November 26, 2014. 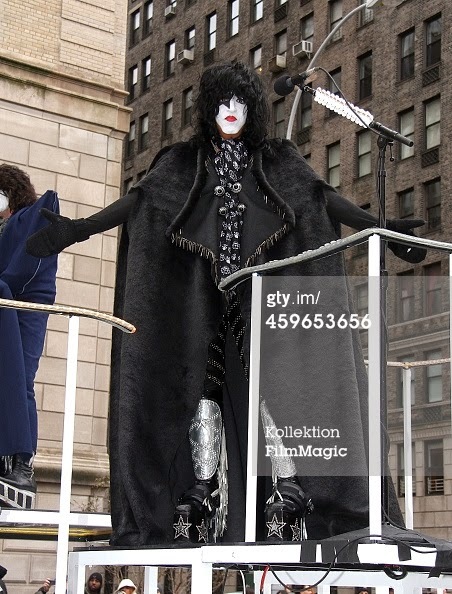 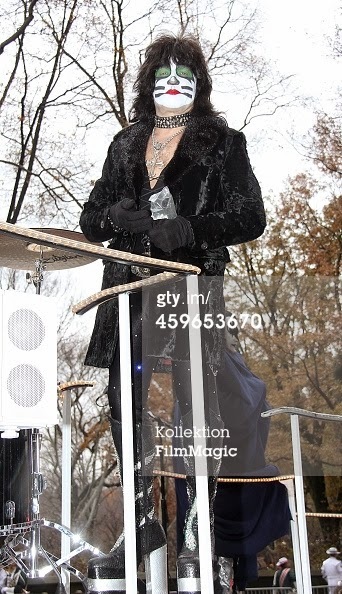 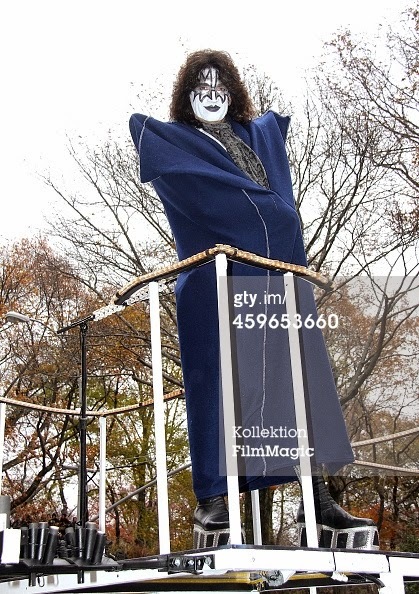 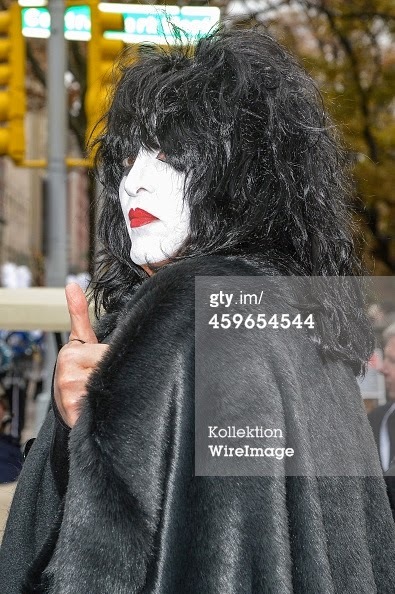 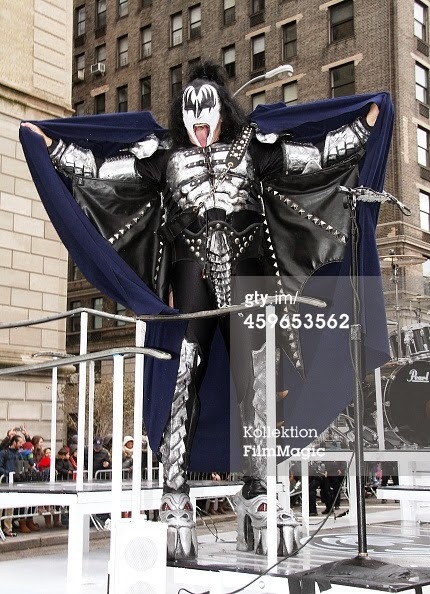 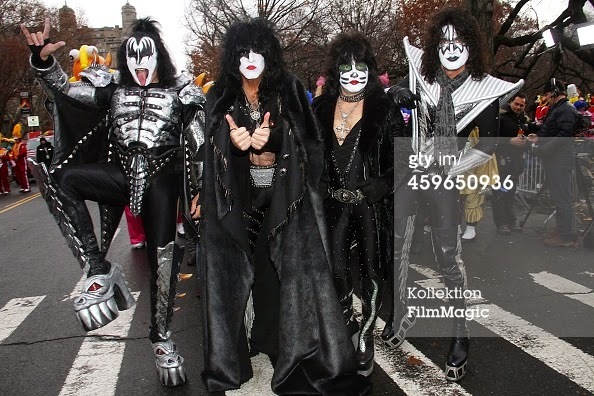 Here's KISS at the 88th Annual Macys Thanksgiving Day Parade on Thursday, November 27, 2014 in New York, New York. 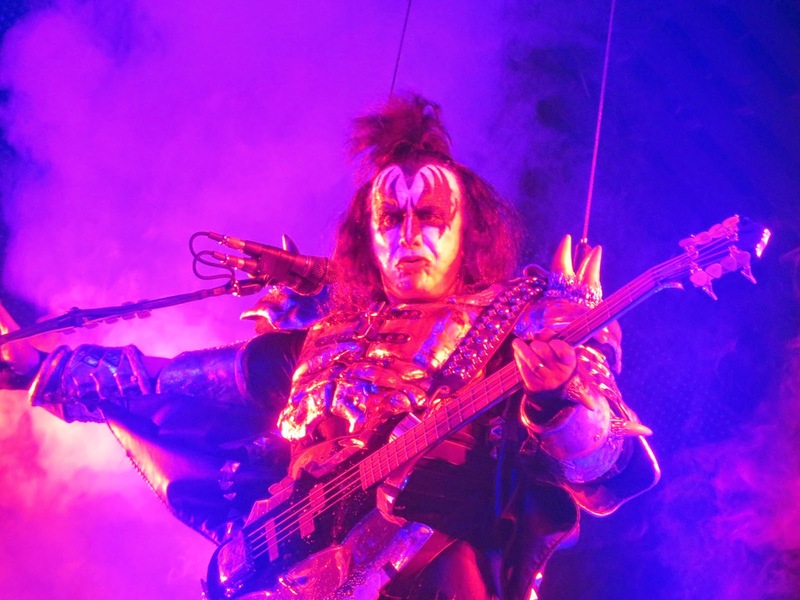 Here's the set list for Ace Frehley's show at B.B. 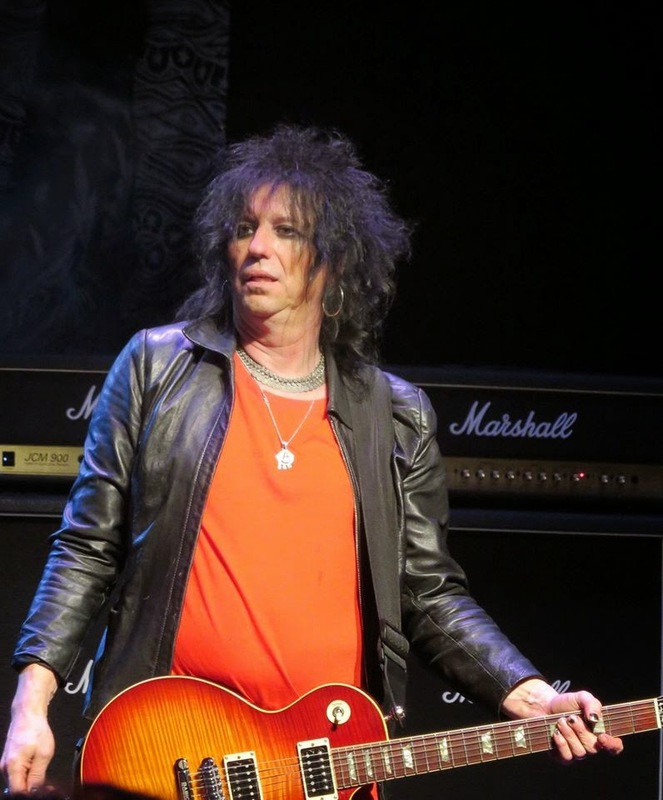 King Blues Club & Grill in New York, NY on Tuesday, November 25, 2014. 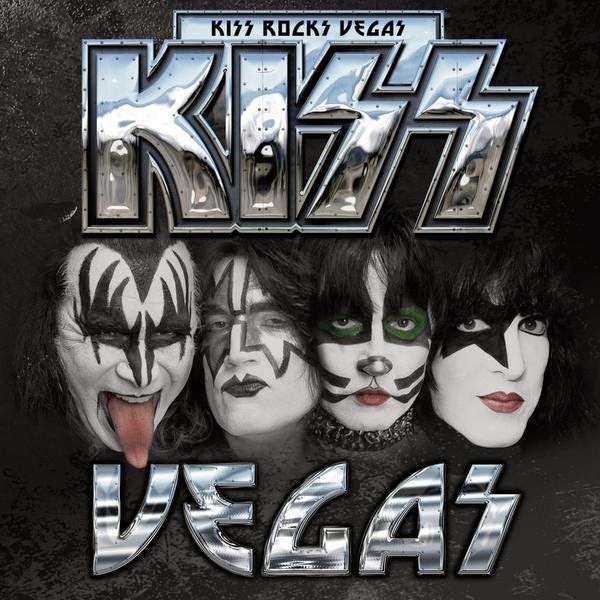 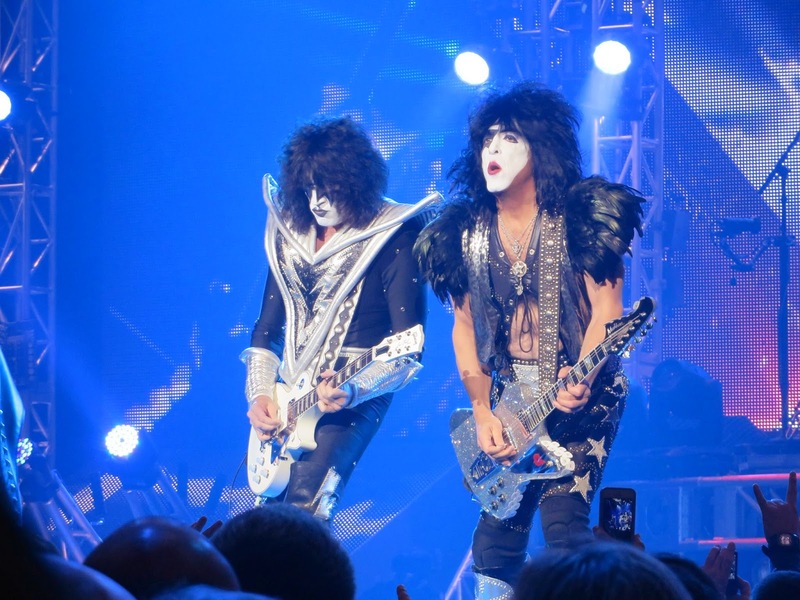 Here's fan filmed video footage of KISS performing "Hell or Hallelujah" during the bands seventh show of their residency at "The Joint" inside the Hard Rock Hotel & Casino in Las Vegas on Wednesday, November 19, 2014. 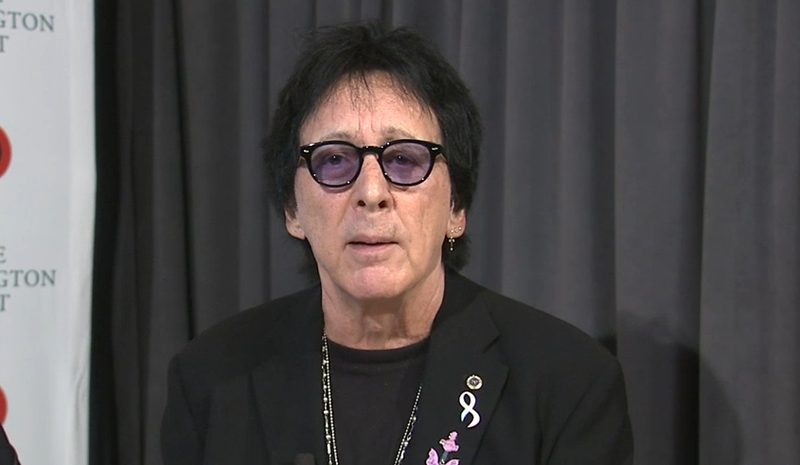 Original KISS drummer Peter Criss has teamed up with Hard Rock Cafe to raise awareness of breast cancer. 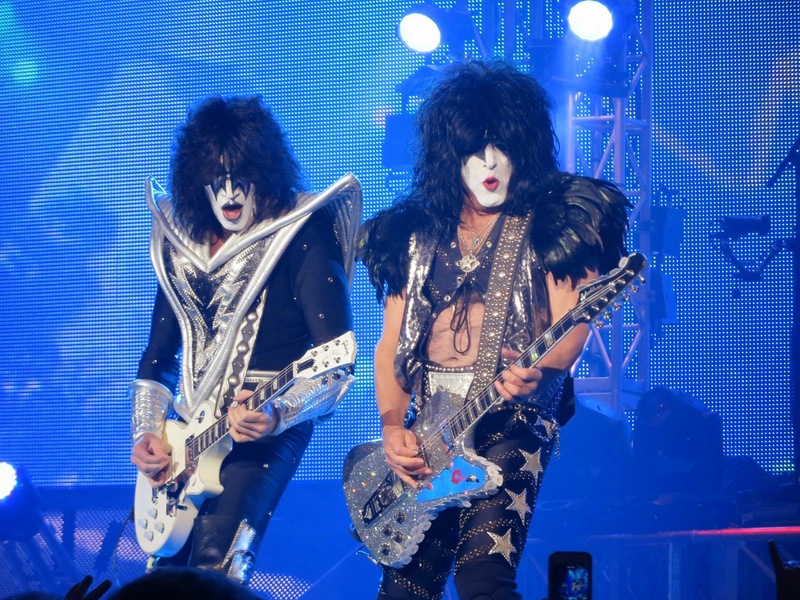 Here's video of Sr. Vice President & Chief Marketing Officer John Galloway and Peter talking about their endeavor. 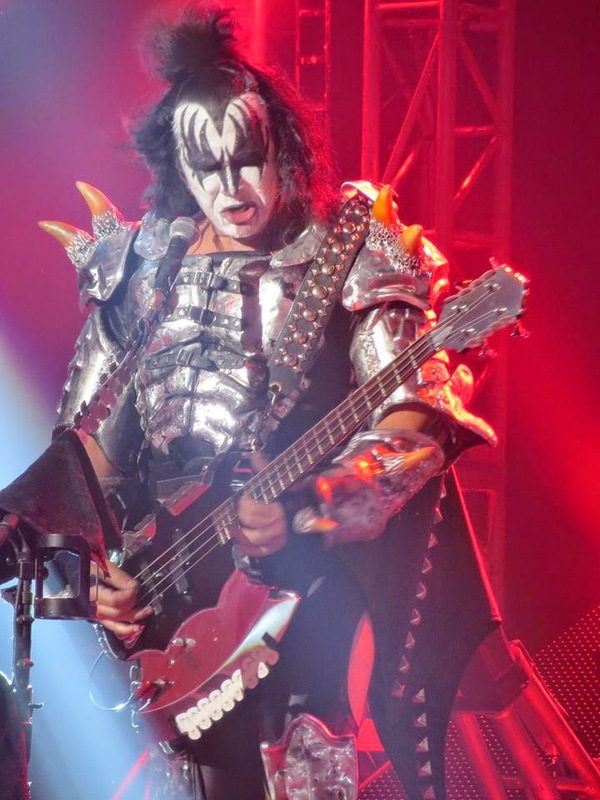 Here's the set list for Ace Frehley's show at B.B. 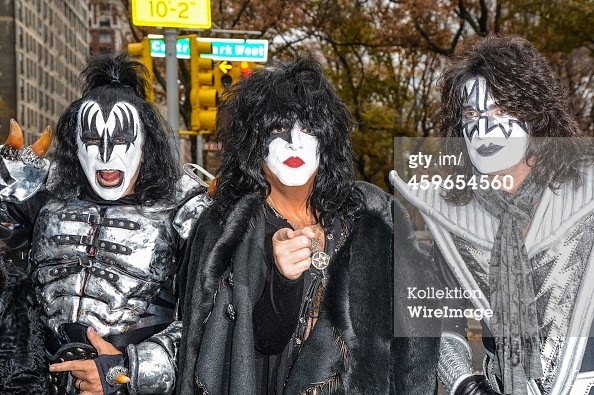 King Blues Club & Grill, New York, NY on Monday, November 24, 2014. 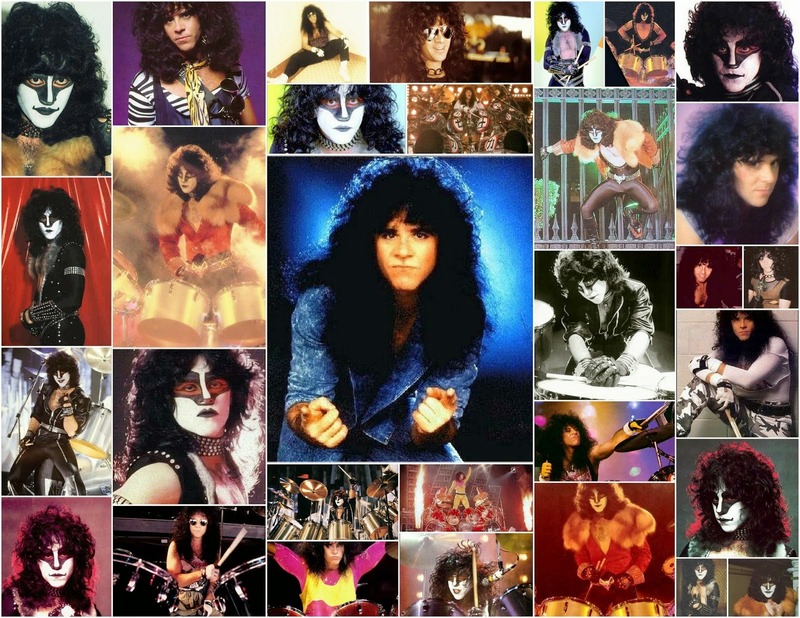 Paul Charles Caravello, better known as Eric Carr, passed away twenty three years ago today. 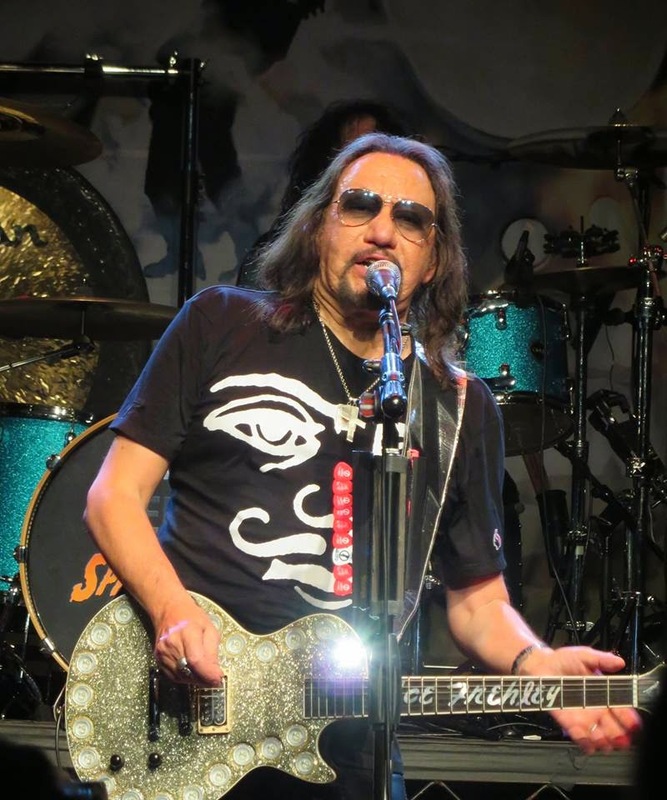 Here's the set list for Ace Frehley's show The Music Box at Borgata Hotel Casino & Spa tonight in Atlantic City, NJ on Satday, November 22, 2014. 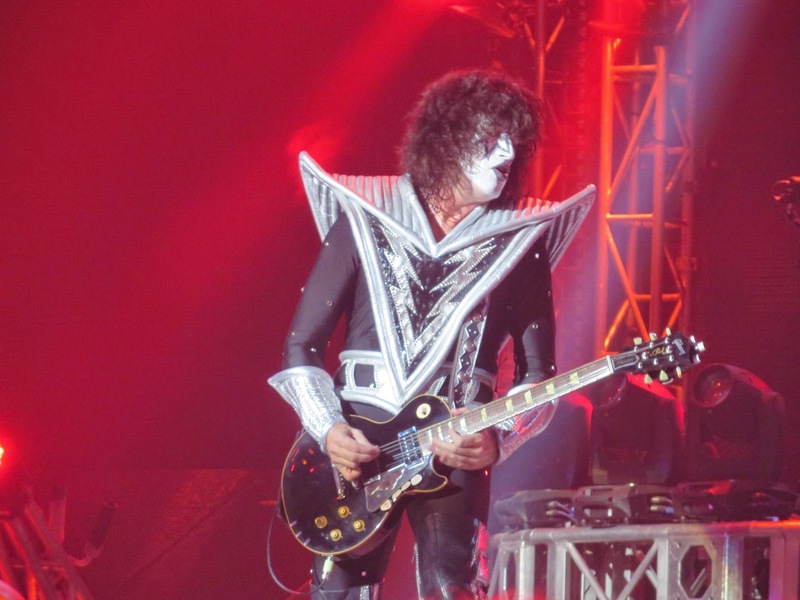 Here's the set list for Ace Frehley's show at the Mohegan Sun Wolf Den concert hall in Uncasville, CT on Friday, November 21, 2014. 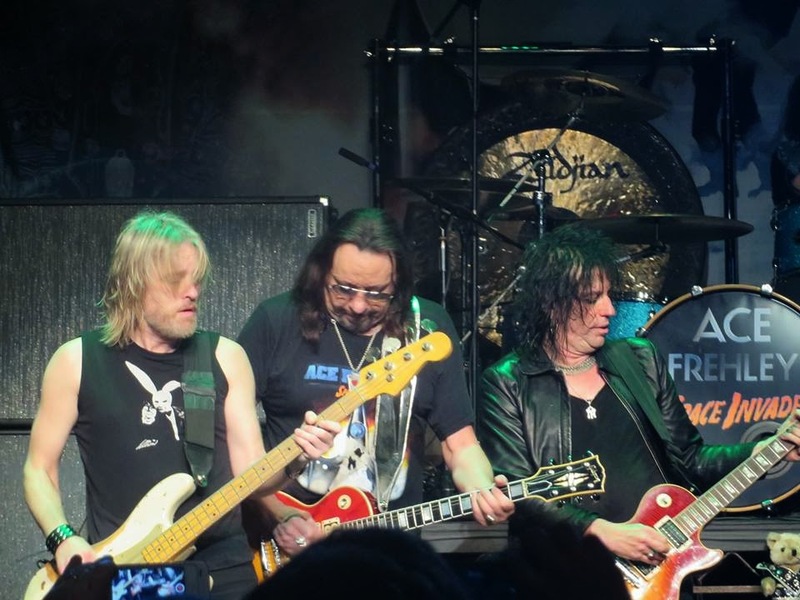 Here's fan video of Ace Frehley and his band performing "Rip It Out" at The Paramount in Huntington, NY on Thursday, November 20, 2014. 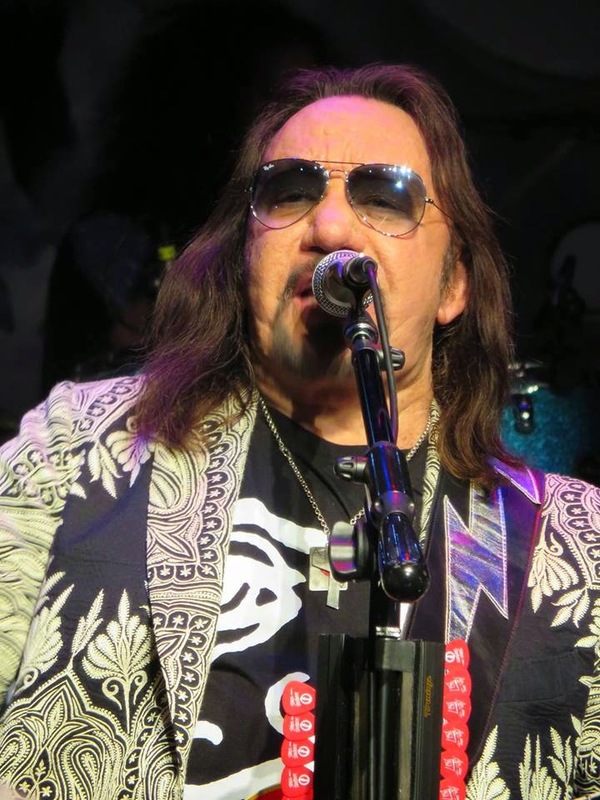 Here's the set list for Ace Frehley's show at The Paramount in Huntington, NY on Thursday, November 20, 2014. 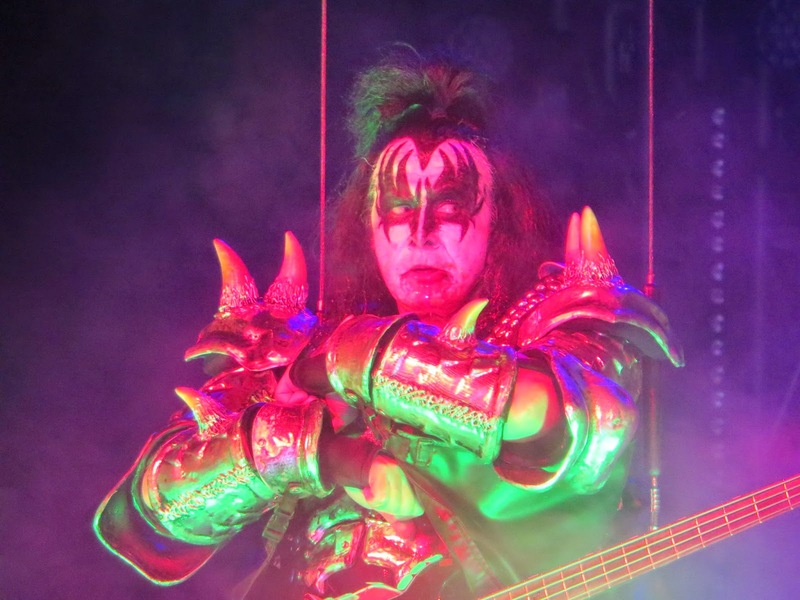 Ace Frehley discusses life on the road after 8 years of sobriety, visiting his grandmother in North Carolina, and the announcement of KISS's collaboration with Japanese all-girl pop band Momoiro Clover Z. 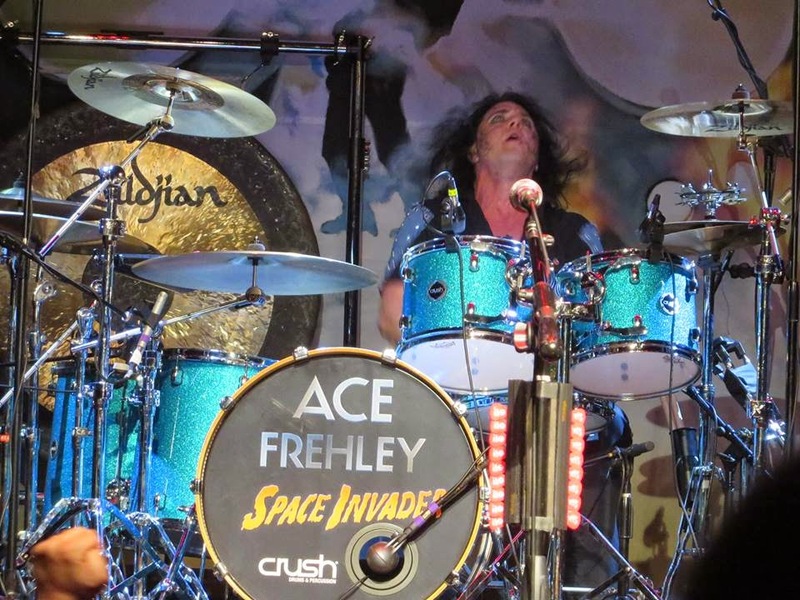 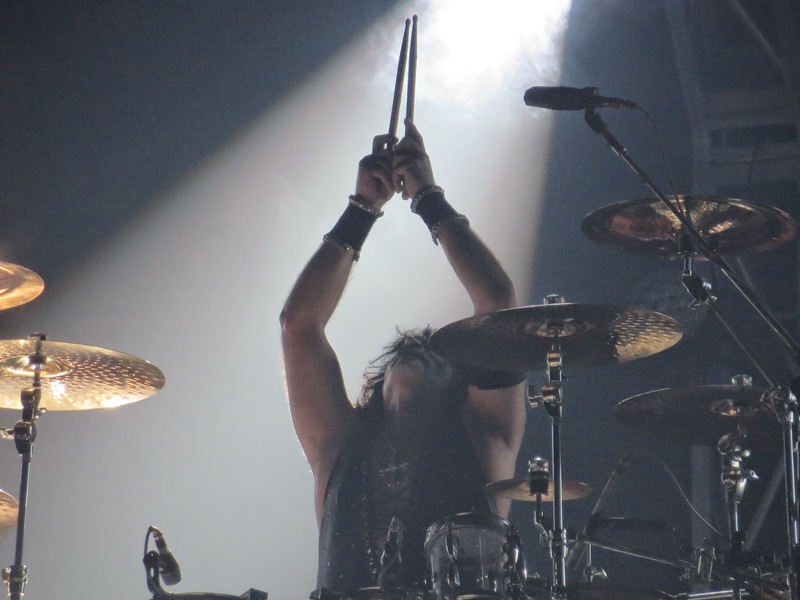 Photo slideshow taken from Ace's performance at the Carolina Theatre in Durham on 11/17/14. 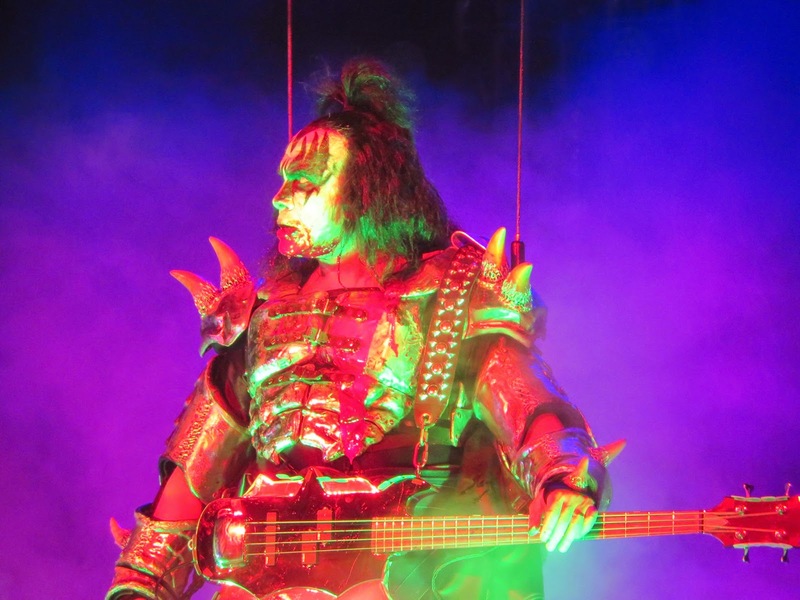 Today's guest is Ken Barr, a former road crew technician who worked with bands like and KISS and Alice Cooper for over twenty years. 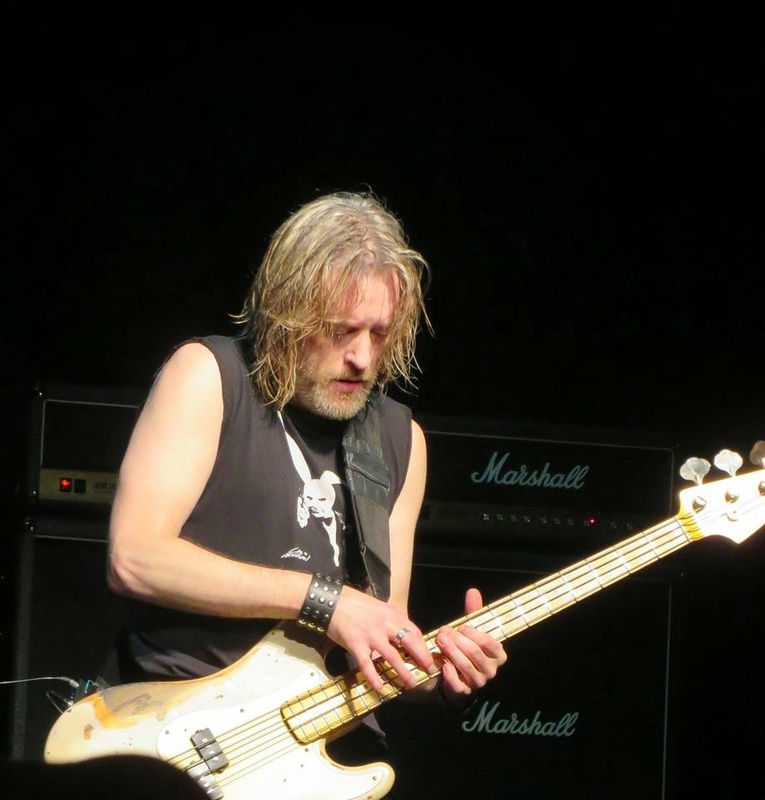 Ken tells show host Cassius Morris stories from the road, and talks about "We Are The Road Crew Vol 1", the book he wrote about his life in the music industry. 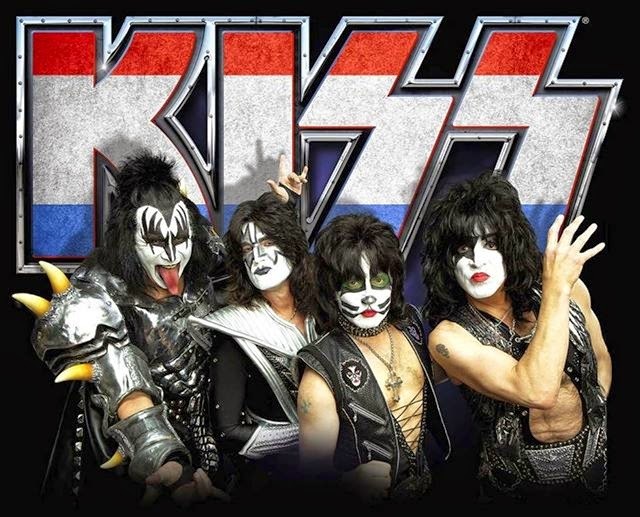 KISS will bring their 40th Anniversary Tour to the Ziggo Dome in Amsterdam, Holland on June 18, 2015. 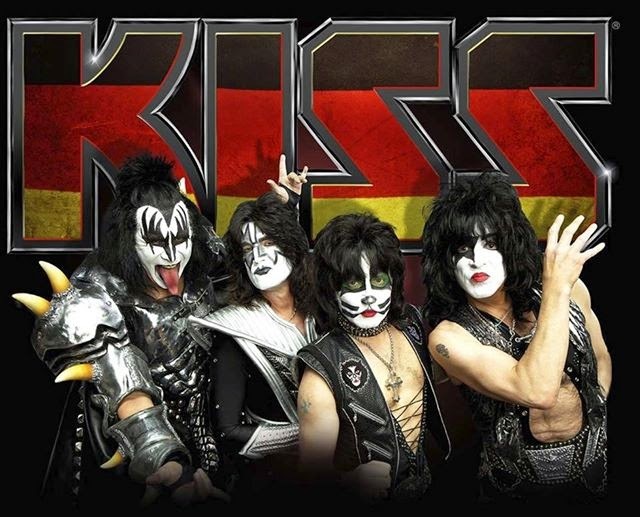 KISS will headline the 20th Anniversary edition of the Graspop Festival in June 2015. 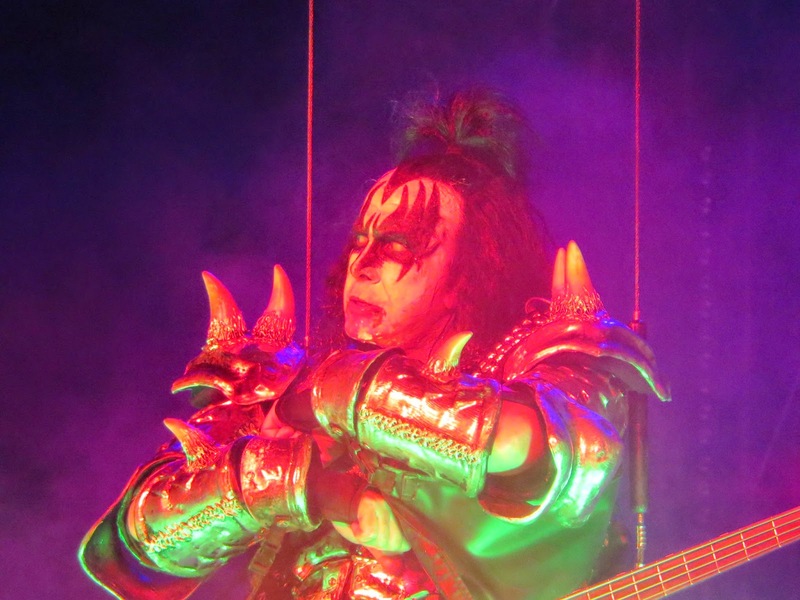 The Festival runs from June 19 - 21st. 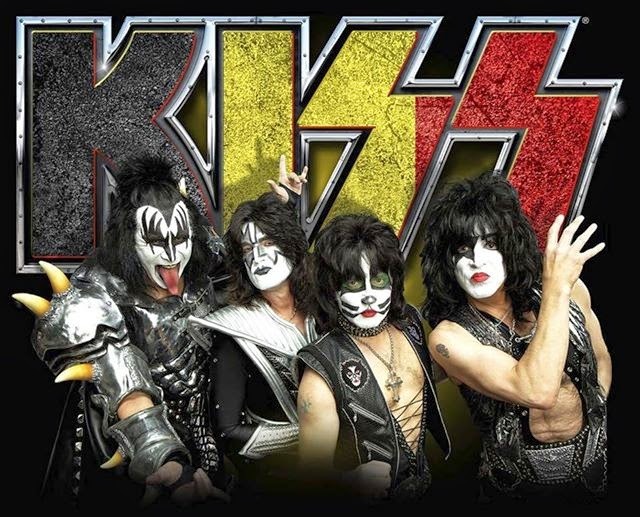 Visit www.graspop.be/nl for tickets and more information. 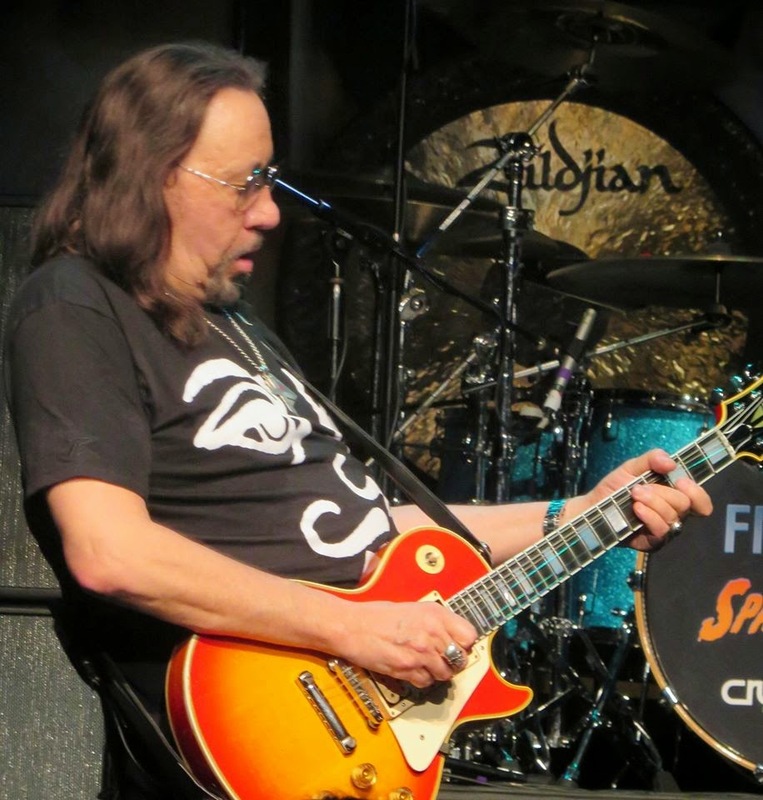 Here's the set list for Ace Frehley's show at Rams Head On Stage in Annapolis, MD on Tuesday, November 18, 2014. 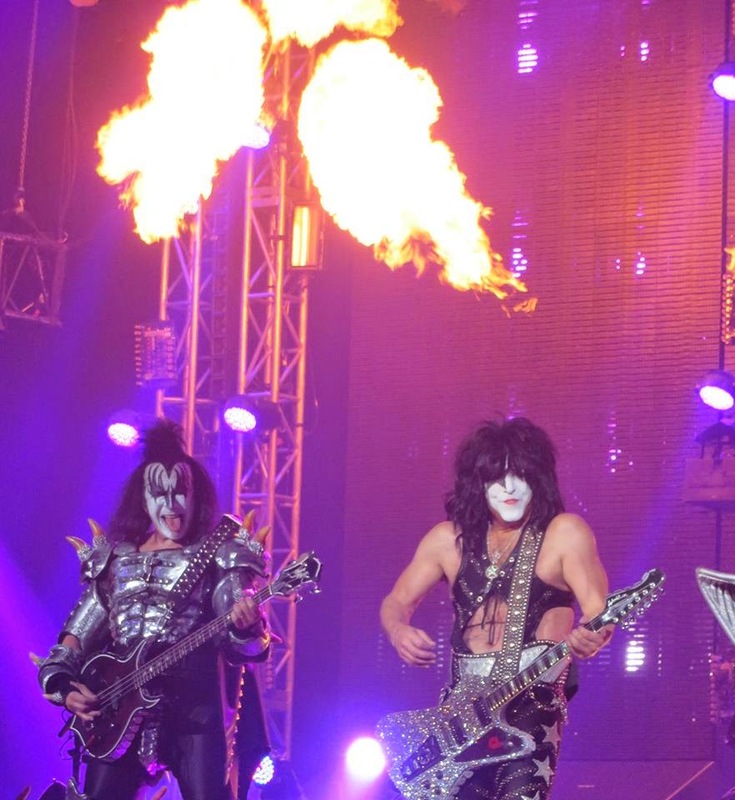 KISS will return to Japan with five concerts in February / March 2015! 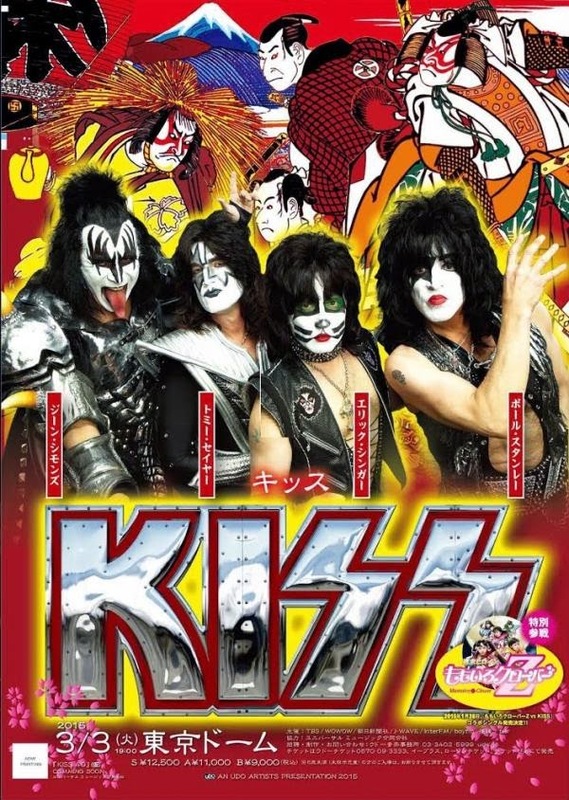 Momoiro Clover Z will be special guests at the Tokyo Dome show only. 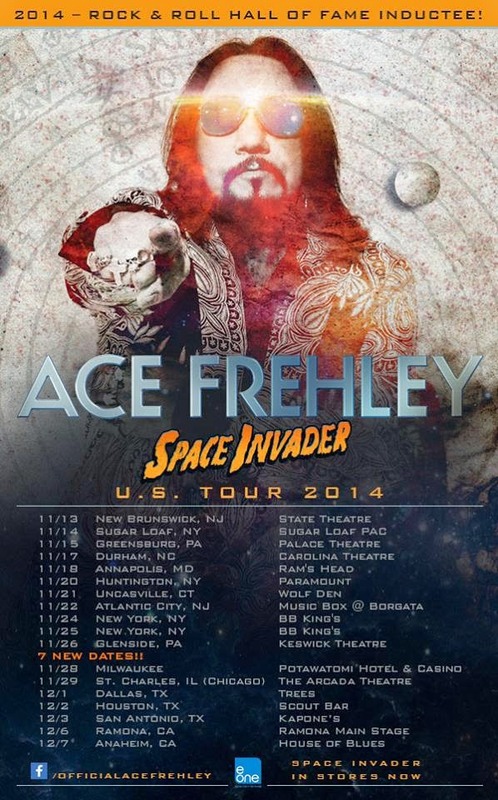 An online ticket pre-order will begin Tuesday, November 18th on e+. 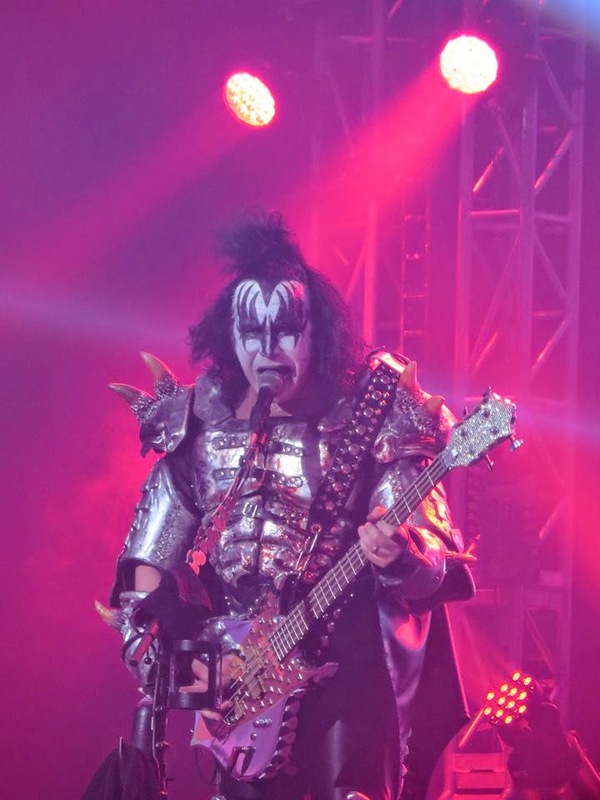 Visit http://udo.jp/ for full details. 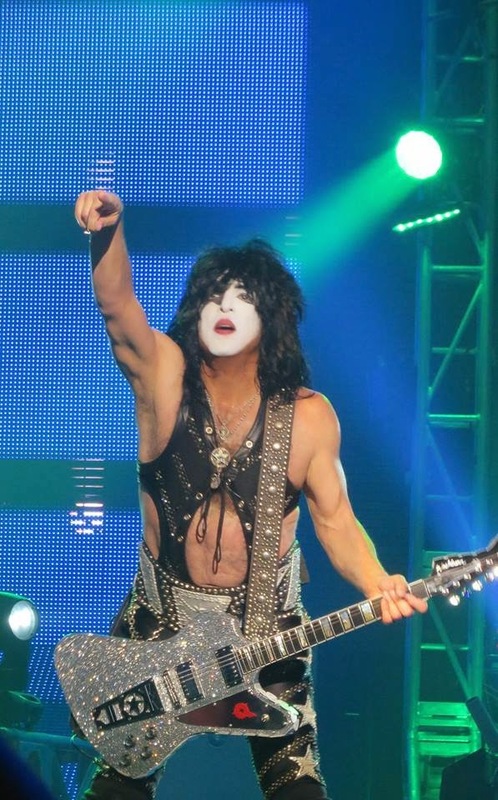 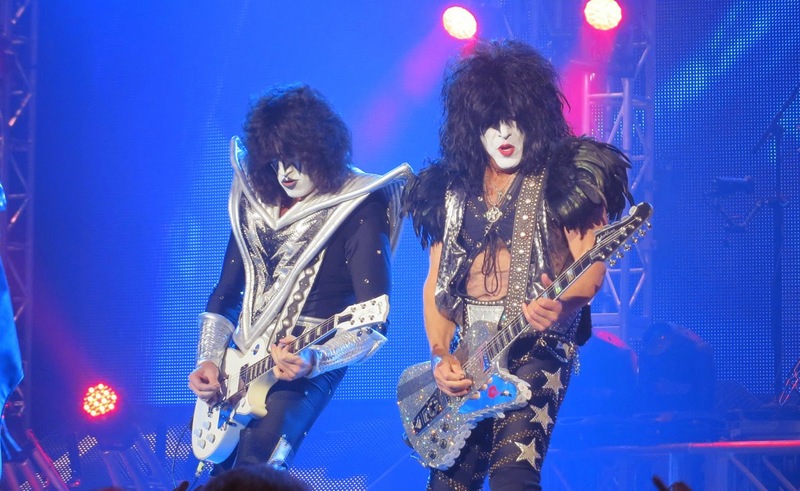 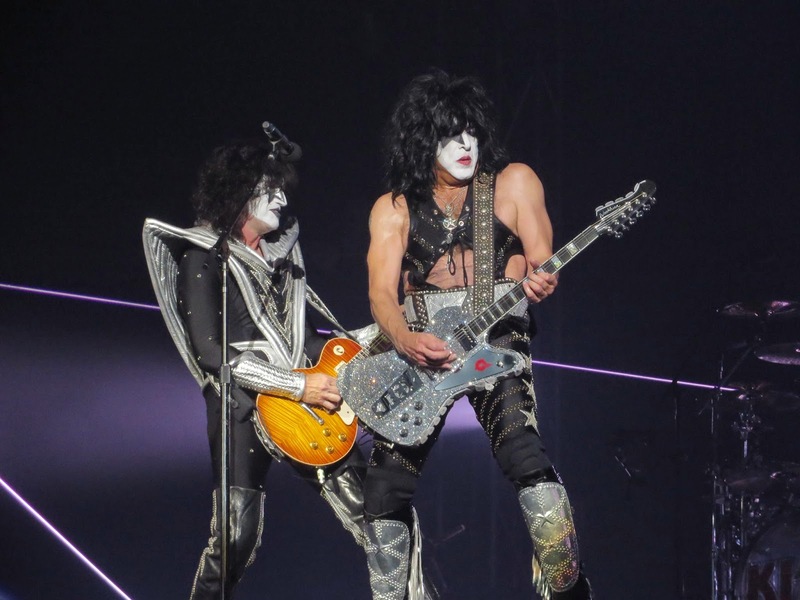 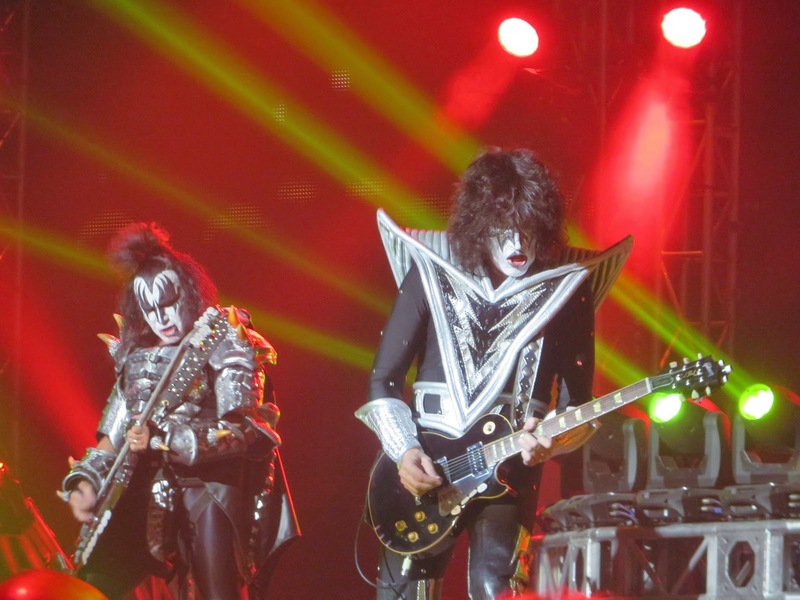 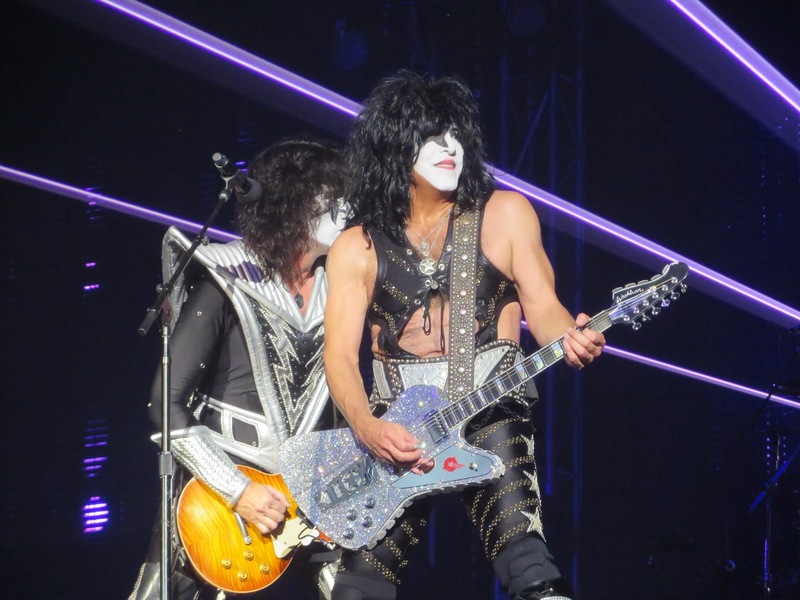 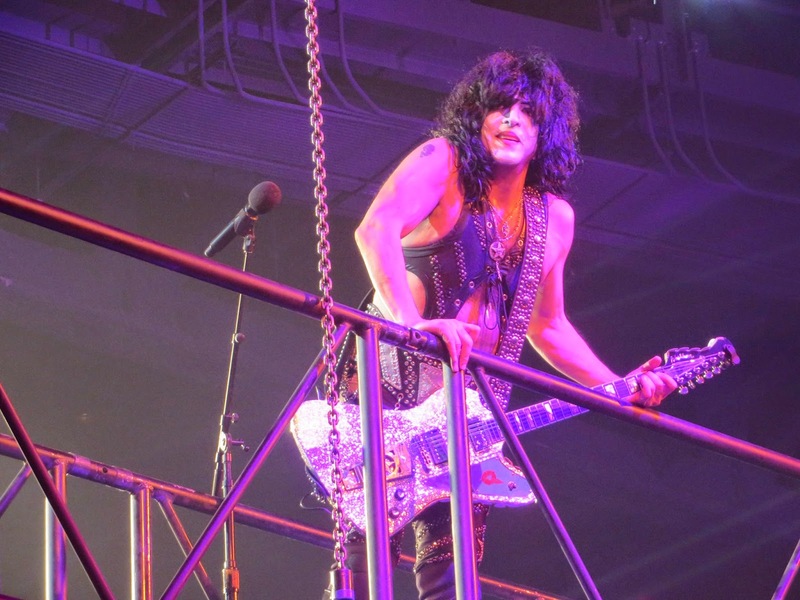 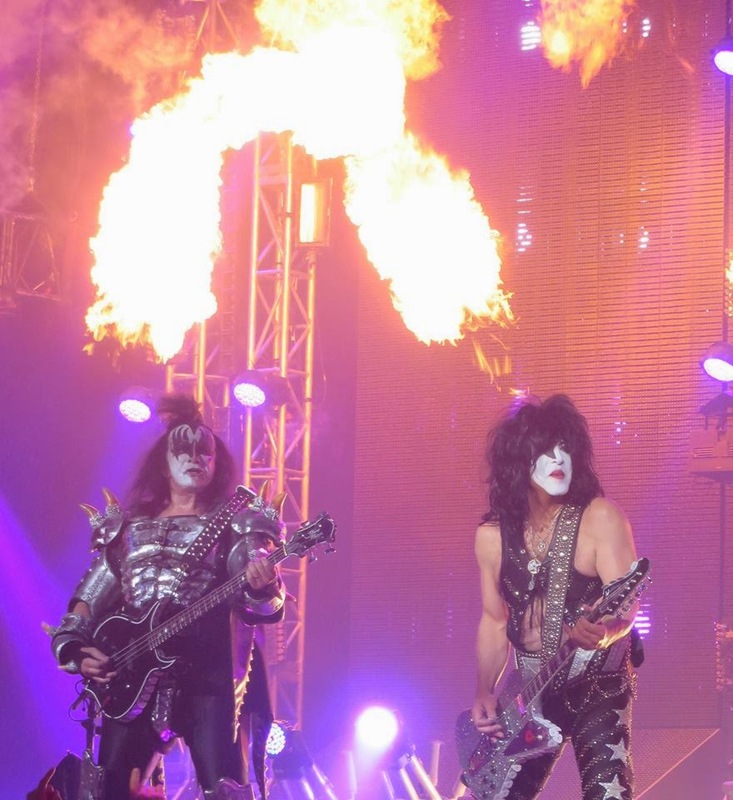 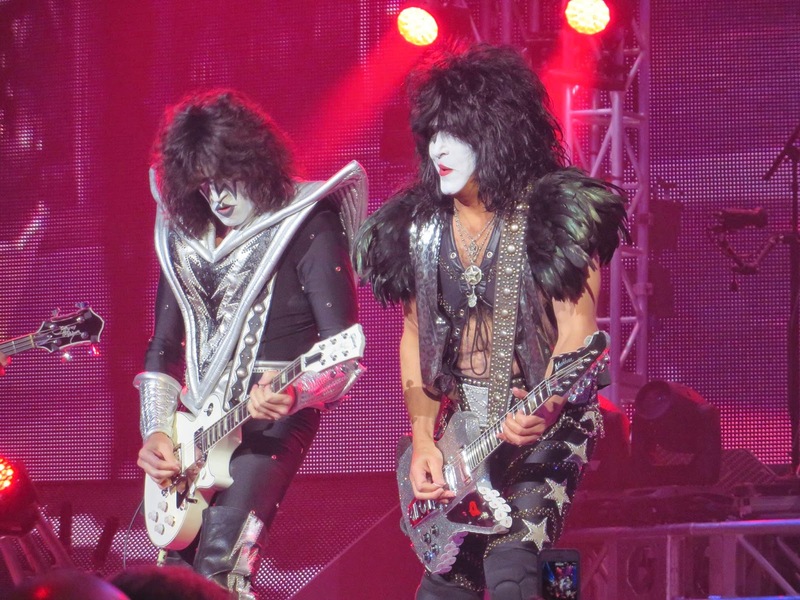 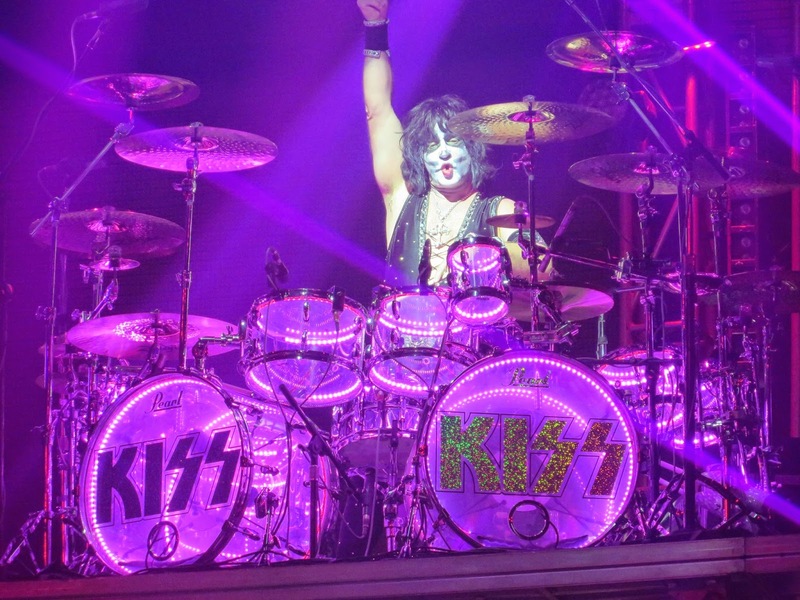 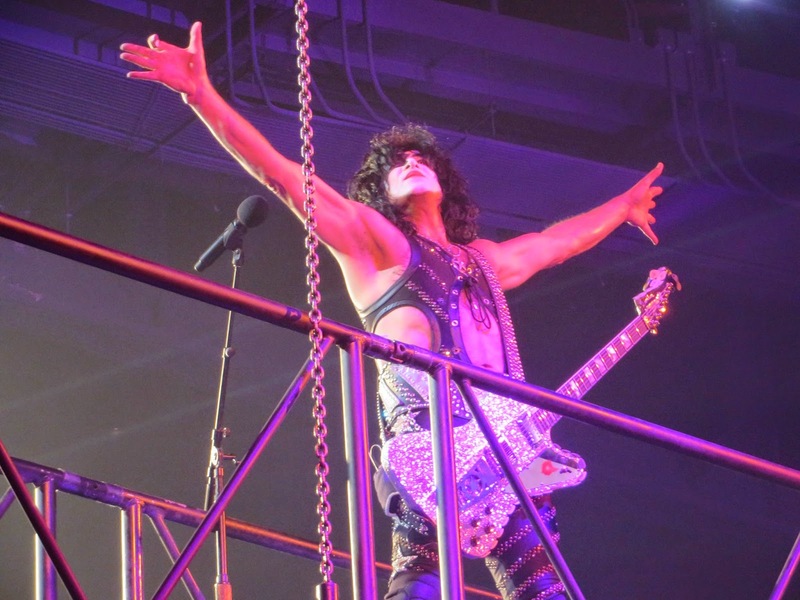 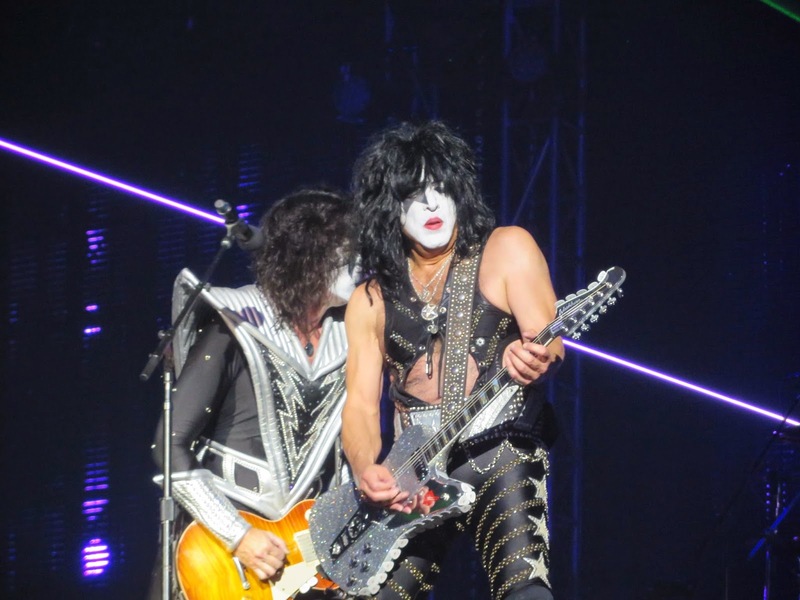 Check out this fan photo gallery of KISS live onstage at "The Joint" in Las Vegas on Friday, November 14, 2104. 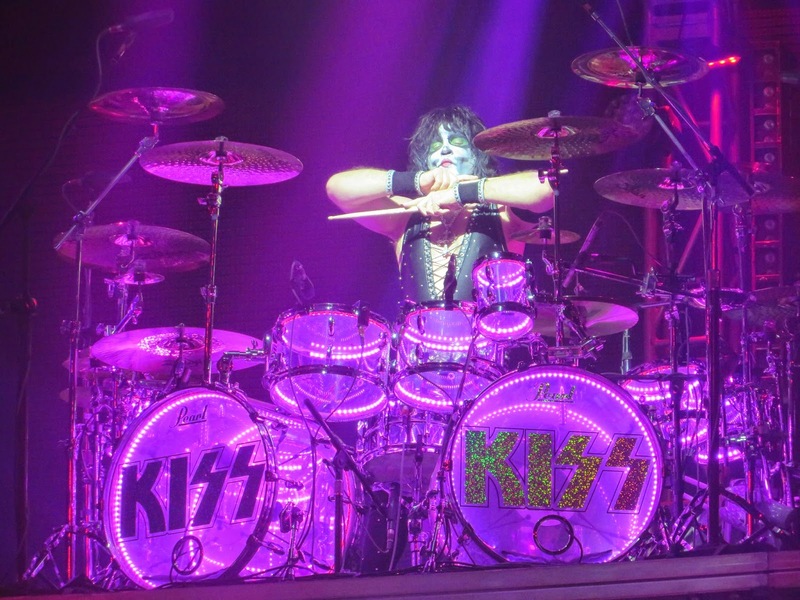 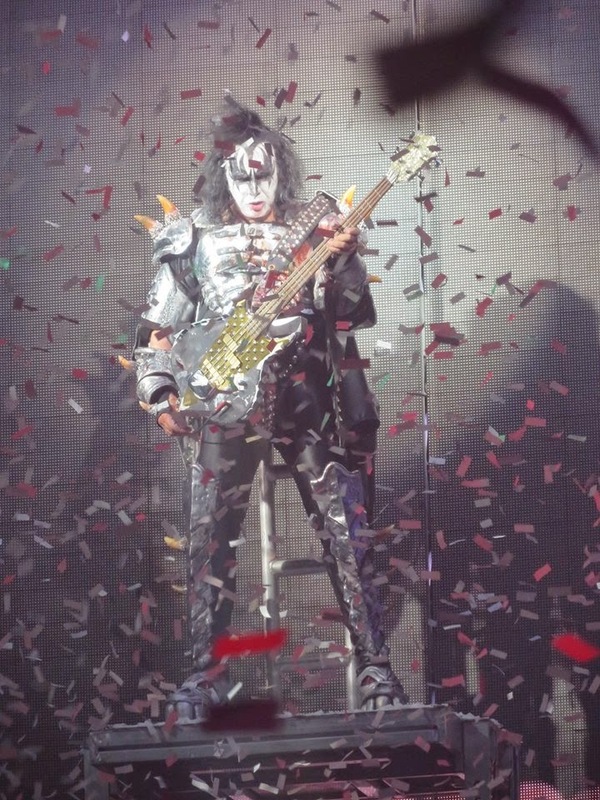 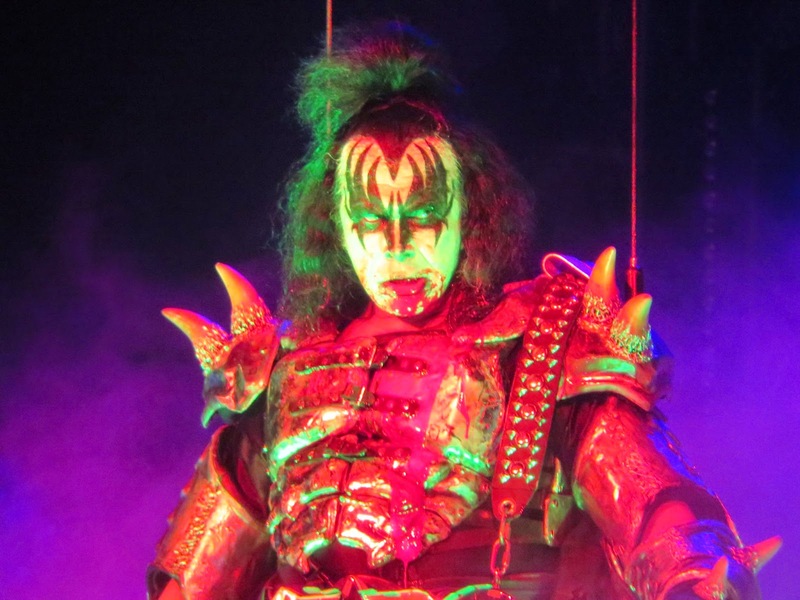 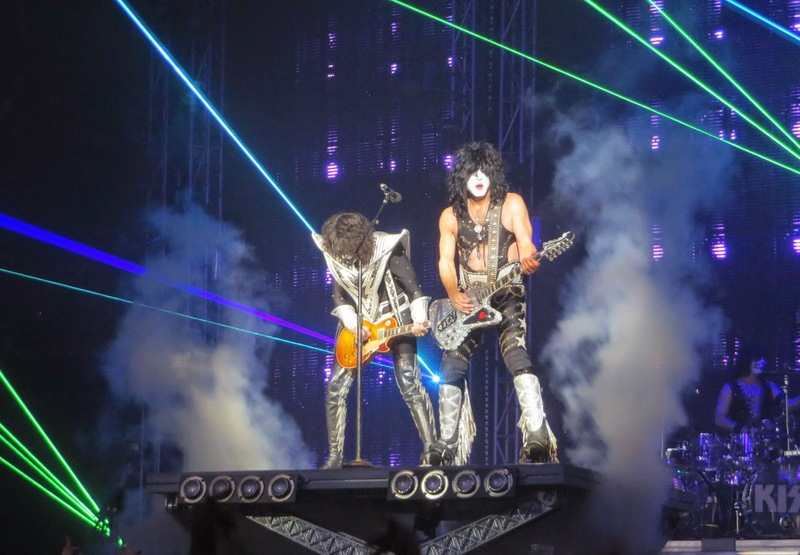 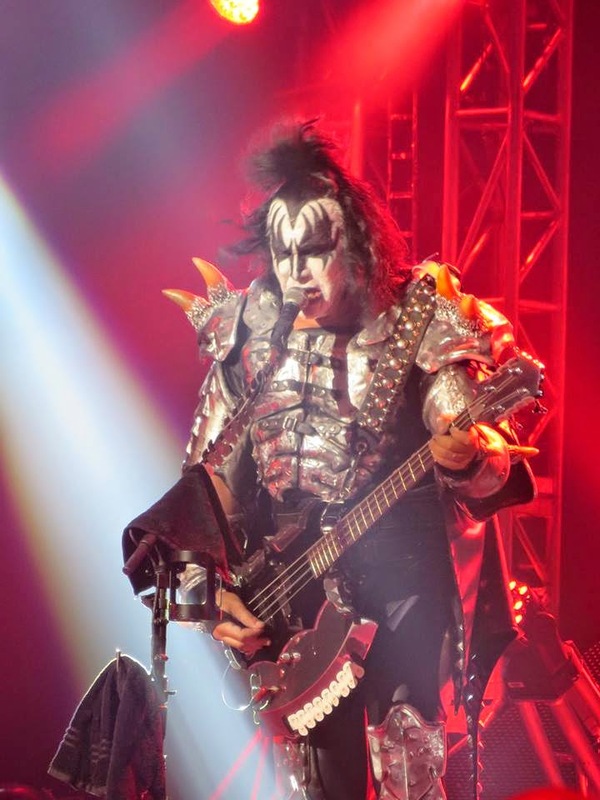 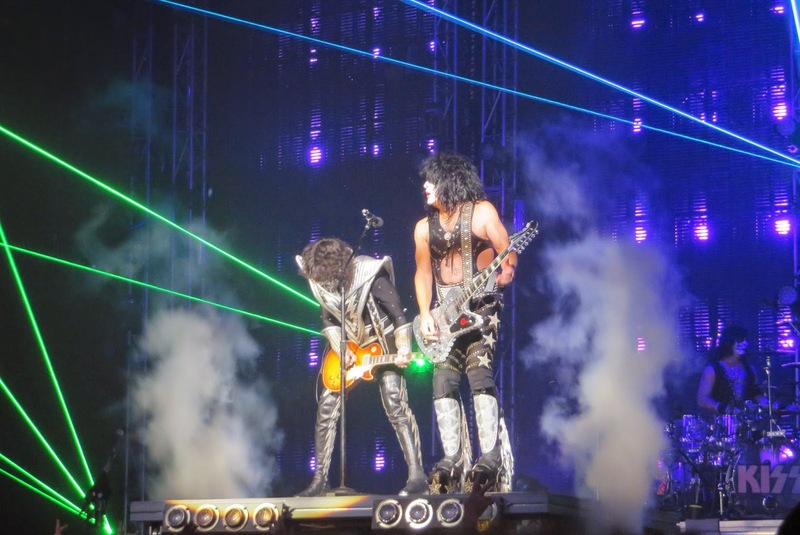 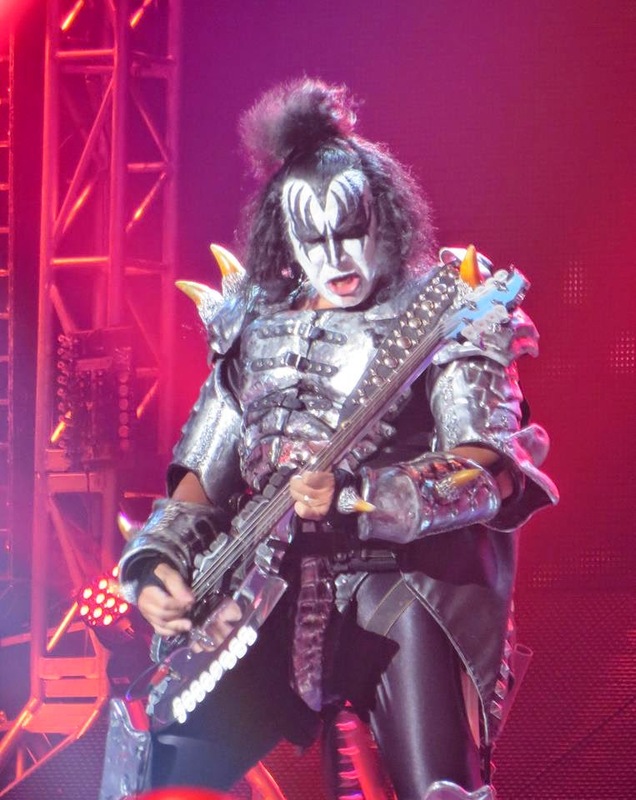 Thanks to our friend Ken Casper for sharing his great KISS photos with us!